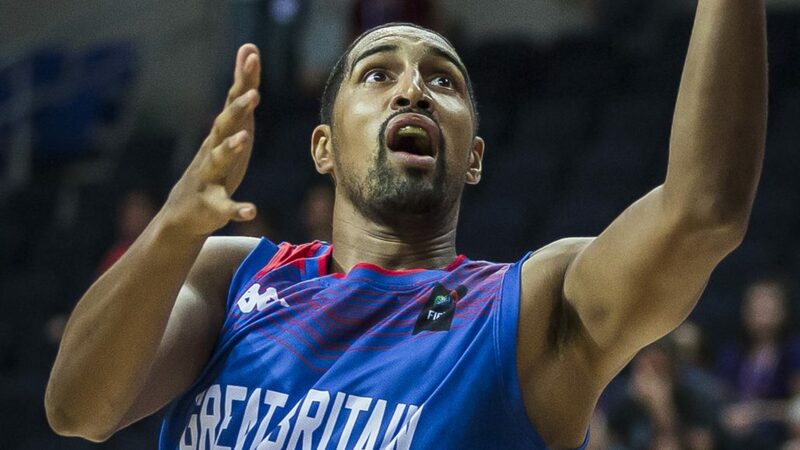 Yesterday Kieron Achara, GB captain announced his retirement from International basketball. Kieron retires with 105 caps, making him the most capped Scottish GB player in history. He reached his hundredth cap earlier this year, fittingly in Glasgow, when GB played Estonia in the FIBA Euro Qualifiers. Achara’s achievements in international basketball are plentiful. He became the youngest person to earn a senior Scotland cap. He followed this up, in 2008 when he received his first call-up to GB. During his career, Kieron has played in three EuroBasket finals, captained GB, and starred in a memorable GB victory in the 2012 Olympic Games. Most recently, Kieron captained Scotland at the 2018 Gold Coast Commonwealth Games, leading the team to a historic 4th place. He will continue playing for the Glasgow Rocks in the BBL and with basketballscotland to develop the sport. Nonetheless, his presence will certainly be missed on the international stage. Kieron’s retirement has been met with a series of glowing tributes from across the game, a testament to the key role he has played in the sport throughout his career. “Kieron has been part of the Great Britain squad since the early years of preparing for London 2012. He was always a significant part of the success that GB had in qualifying for multiple EuroBasket Finals and he was an integral part of the team at our home Olympics. “His leadership throughout his time with GB has been key, especially in his years as captain. As a role model he has been an inspiration to British players across the country but in particular in Scotland as GB captain and one of the faces of the Rocks.